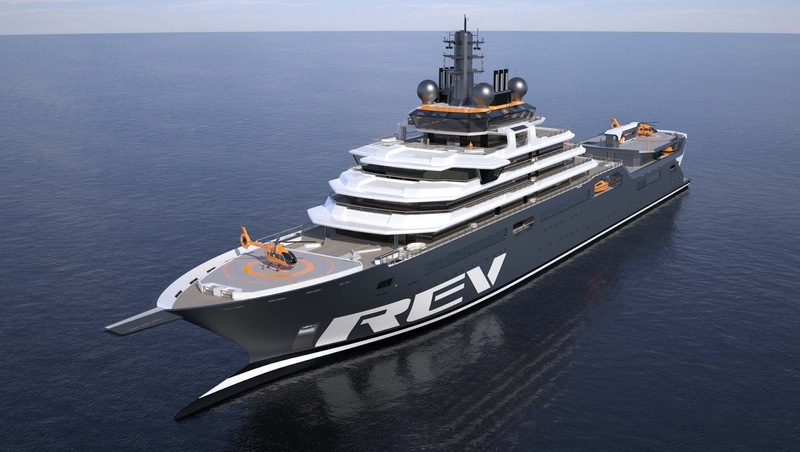 Rev Ocean, based in Norway, is currently building the REV, the world's largest research and expedition vessel. Rev Ocean's CEO Nina Jensen has been honored by the World Economic Forum as one of the world's top 5 visionary leaders determined to save our oceans. REV Ocean is globally known for is dedication to identifying technology solutions for the health of the oceans. REV is fitted to house 60 researchers, marine scientists, oceanographers and engineers at any given time. Outfitted with highly advanced equipment, its mission and promise are to uncover sustainable and environmentally helpful solutions for the world's oceans which are under threat. Construction on the vessel is being done in Romania and is progressing at a rapid pace. Only 5% of the ocean has been explored but there's evidence that the entire ocean ecosystem is under threat. The number of fish in the world's oceans has been cut in half in the past 50 years. And, every minute a ton of plastic is being dumped into the ocean. The hope is the REV will discover some revolutionary solutions to start turning the situation around.